a view from the cobblestones: Deacon Stoles! One of the hardest parts about being a deacon is finding the right things to wear at mass! Especially the “stole”, a long band of cloth that both priests and deacons wear. 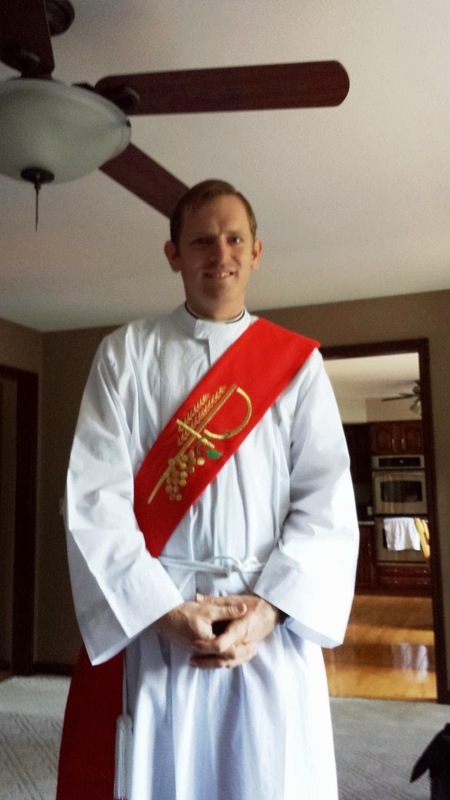 Deacons wear it diagonally, but priests wear it draped around the neck. 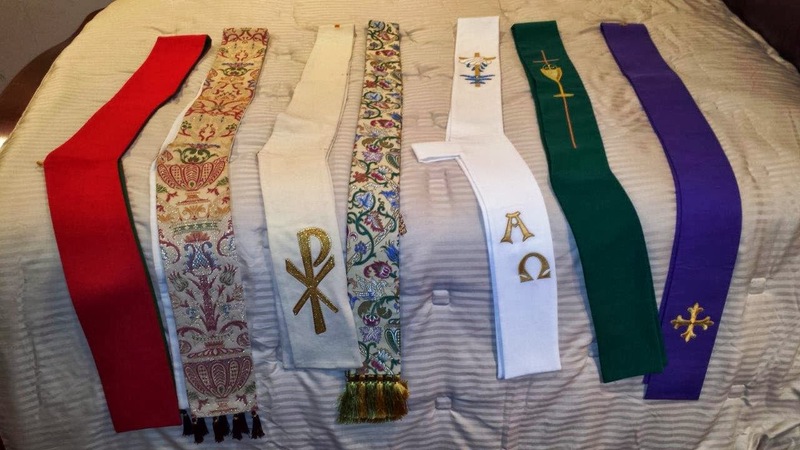 There are always plenty of priests’ stoles lying around in sacristies and churches, but deacons’ stoles are few and far between. Most of the time I just carry a safety pin with me and jerry-rig a deacon stole out of a priest stole. Which is what totally surprised me when I was cleaning out the basement of our house in Cincinnati the other day. I found seven stoles tucked away on a hanger. Seven deacon stoles! Wow! Jackpot! Shortly before leaving Rome, I remember reminding myself, “get some deacon stoles, get some deacon stoles while you can” but I never had the chance. Fast forward a little, and here, in the very place where I was sent, was one of the biggest collections of deacon stoles I’ve found! Red, green purple, white, gold…. You name it. It’s like God was saying, “stop worrying, I’m in charge here!” No more safety pins for me! 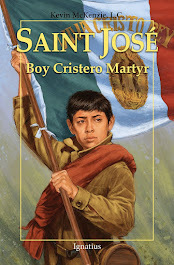 Some of the stoles appear in the pictures. 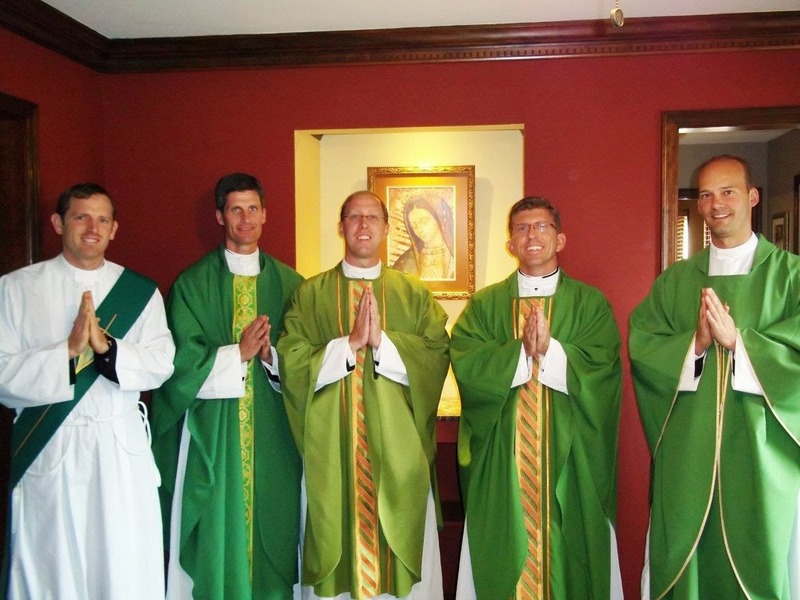 One of the pictures is of the four priests I live with here in Cincinnati, Fathers Timothy, Matthew, John, and Daniel. 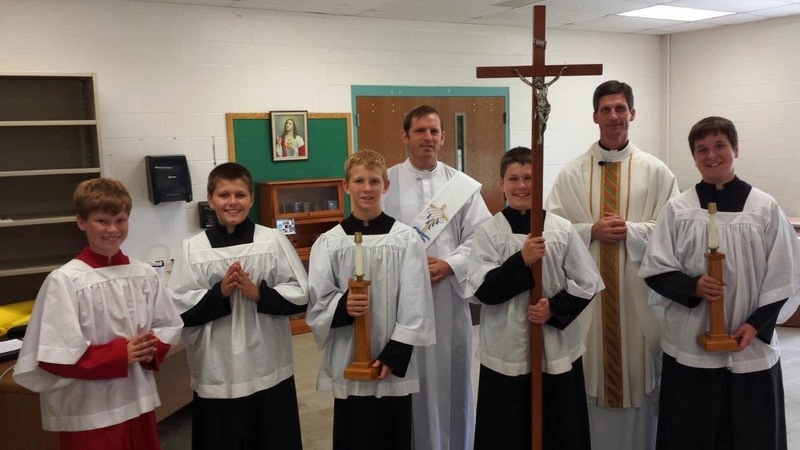 There’s also a picture with the altar servers after mass at Royalmont Academy. 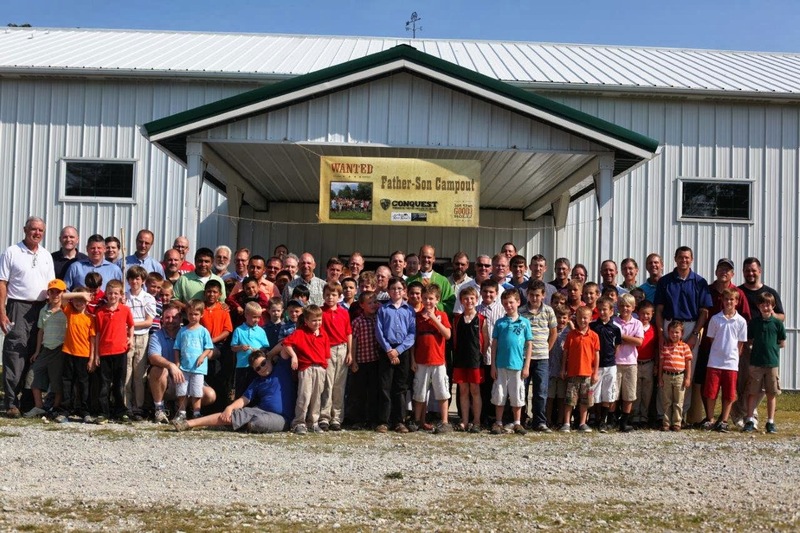 One of the pictures is of a group of 90 Dads and sons at our recent Father-Son Campout at Camp River Ridge. It’s now about 3 months away from my ordination as a priest December 14th. It’s good to have something to wear in the meantime. You will be in my prayers this weekend!